Are you in need of a professional Security System Installation, Solar Camera Site Surveillance, Intercom Installation or Physical Security Services? Whether it’s a CCTV Installation, Alarm Installation, Intercom Installation or Crowd Controller for an event. With an office on the Gold Coast, Brisbane and Ipswich, we’ve got you covered. Protection Revolution Australia can help you with all your security needs from Robina on The Gold Coast to Brisbane and beyond. Contact us today. CCTV security cameras are our speciality. All the security cameras we use are HD (high definition) minimum and see clearly day and night. We have a large range of equipment, including vandal proof and spy cameras meaning we have something for every CCTV installation. Site Solar Surveillance Systems/ Solar CCTV camera systems are extremely useful where there is no power. We custom build high definition smart installations to suit the requirements. Council, Civil, Construction, Farm, Commercial and Residential Sites. Your options with our state of the art security alarms is endless. From cabled alarm systems, wireless security systems and pet friendly sensors to outdoor systems, panic and medical buttons and more! We can also upgrade existing security systems. Now you can see who is at the door or gate without them seeing you. Our sleek designs can have multiple screens/ stations for monitoring, or even call your mobile. Making a nice edition to modern home security and commercial access control. Alarm monitoring is the only true way to secure your work place or your home. Our 24/7 security monitoring centre is ASIAL approved and uses state of the art alarm monitoring (back to base) equipment. Secure your premises while bringing down your insurance premiums! We proudly offer professional and experienced crowd controllers and patrols who are on call for emergencies 24/7 as well as available for events. They can assist with door work, perimeter control or supervision. We pride ourselves on our reputation for being approachable and professional. Our team of private investigators are highly skilled and connected individuals who have a specialist set of skills to collate information when needed. We are able to collate specific information in confidential reports which will be delivered on agreed terms. With pleasure we offer a dynamic team of body guards to protect or monitor clients. Whether you need close personal protection, a friendly eye watching from afar or a driver. Call us to arrange a confidential meeting and we can discuss your needs and how we can help. We strive to bring positivity, peace of mind and safety to all our customers but its important you know we know what we are doing! 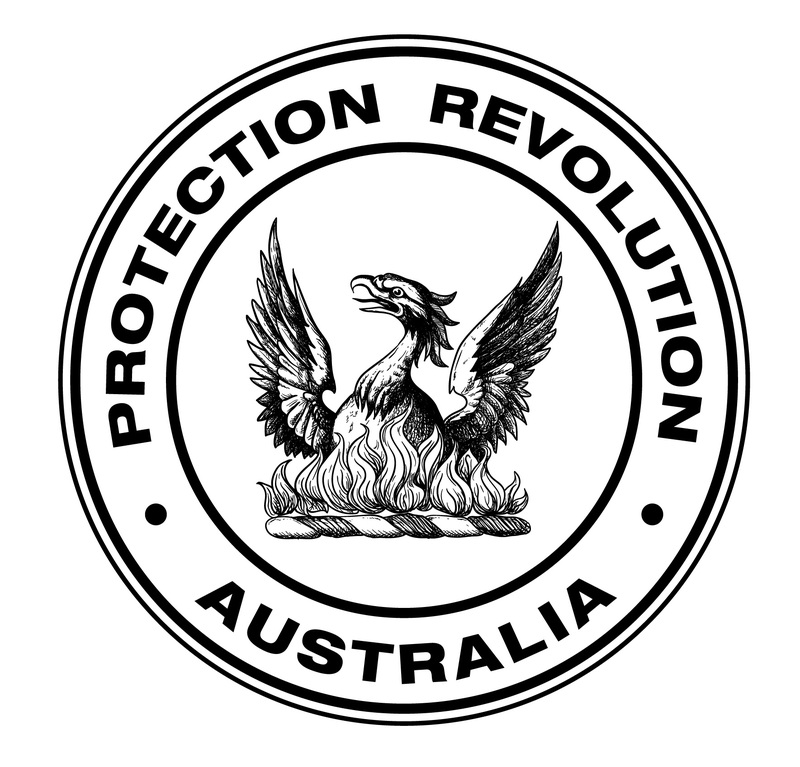 Protection Revolution Australia P/L holds the appropriate Firm Licenses for all areas of expertise and services offered. Our team all hold the appropriate licenses for the work they carry out. To hold any of these security licenses, holders are required to do frequent Federal Police checks and finger printing! Our staff are highly trained and regularly under go professional development. License numbers are available on request. So rest assured knowing your protection services are conducted by government licensed, highly trained industry professionals who are determined to be the best in their fields. We love life and believe everyone should be happy, safe and protected. What ever it is you need to secure or keep an eye on, Protection Revolution Australia is determined to offer the best equipment and customer service in the business. That's why we get so many great referrals and keep growing! Its simple! Our head office is on the Gold Coast and we also have offices in Ipswich and Brisbane. If you have any questions, please don’t hesitate to contact us on 1300 776 738 and our experienced team will be more than happy to assist you. QUESTIONS, QUERIES OR QUOTE REQUEST? CCTV System Upgrade in a Shopping Centre in Forest Lake, Brisbane.